Websites are built for one purpose, to grow the business. And the business can grow only if the visitors tend to stay on the website for a longer duration to fulfill the action you require. So, here you need to give him a reason to stop by at your website and stay for longer durations. According to KissMetrics stat report, 40.5% is the average bounce rate of the website all over the world. There is one positive thing in the bounce rate of your blog website i.e., it will let you know that there is something wrong with your website. That can be a handy indicator. There are many things that you can do to reduce the bounce rate of your blog or website. In this post, I am going to provide you five top ways that will reduce the bounce rate of your blog efficiently. Let’s get started and see some of the tricks to increase your traffic and reduce your bounce rate of the website. Content is King is the most common phrase that is used in SEO and website terminology. However, the king itself is not enough to rule the digital kingdom. There are certain things that can help to decrease the bounce rate of your website. First, you need to break the content in readable shorter paragraph format that is easy to read. Don’t overwhelm your visitors with a stockpile of content that is chunky. Second, you need to make it visually sound. Adding media can easily help you to visually aid your visitors. Make use of relevant images and savvy title and subheadings.Also, in order to increase the readability, you need to form shorter sentences and paragraphs. Make sure to use a single line paragraph as well. This way you will make your content readable and hence add some value. 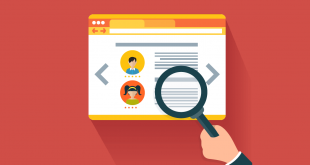 This will indirectly probe the visitor to stay on your website for some longer durations. Site Navigation is the biggest reason for increased bounce rate of the website. You don’t want to increase the bounce rate anyway further. So, make your site navigation simpler and easy to understand. Remember one thing, you must layout your homepage in such a way that the visitor mustn’t be puzzled with the layout of the menu. You must opt for the traditional menu layout. This will help your visitor to understand the navigation of your site. Make your CTAs clear and crisp. Everyone wants their website to unique yet the navigation is the only part which the smart one wants as same as all others have. This makes the navigation of your website easy which helps loads of visitors to go for the thing that you want them to do. When a reader is reading your post, after that they tend to leave the website which is a sort of bounce rate. You can probe them to stay a little bit longer by offering them another post that is relevant to them. 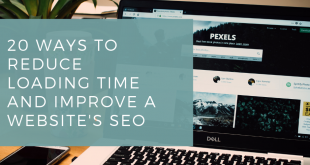 This way by giving additional value to the viewer you will make them stay on your website for more time hence reducing the bounce rate effectively. Mobile devices are smarter and more often used. More than 50 percent of users browse from mobile devices and this gives you two options. Either leverage the number of the user by a robust mobile responsive website or you can let them go and increase your miserable stats that are starving for traffic. You know what I mean. Make your website mobile friendly by using responsive design and Accelerated Mobile Pages. This will make your viewers stick in your website for longer durations hence decreasing the bounce rate of the website. A successful blog is much dependent on an accurate keyword optimization. Imagine you sell gadgets and you optimize your blog for some irrelevant keyword. How will a visitor react to this? Obviously, he will leave your website as there is nothing for him there on your website. So, focus on the right and relevant keywords and make use of LSI rather than keyword stuffing. You will see a lot of improvement in the bounce rate of your website as your website is now getting relevant traffic which will tend to increase your viewership and revenue (if any). So, these are the top 5 ways by which you can easily reduce your bounce rates on your blog or website. I do hope that this post will help you to get an idea about the reduction of bounce rate of your website. Did I miss something? Let me know via comments and I will appreciate to know few new things myself. Till then, have a good one. Author bio – Lauren McLaren was born and raised in Australia. She is working for Digital Muscle, providing affordable SEO company in Australia. She’s hardworking, competent and trustworthy. Her role within the company is to design websites. In her spare time, she loves to read, cook and watch movies.